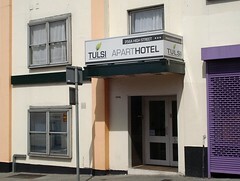 Self-catering hotel/serviced apartments on the High Street. Existence last checked in October 2013. Last edited 2019-02-07 15:28:48 (version 24; diff). List all versions. Page last edited 2019-02-07 15:28:48 (version 24).